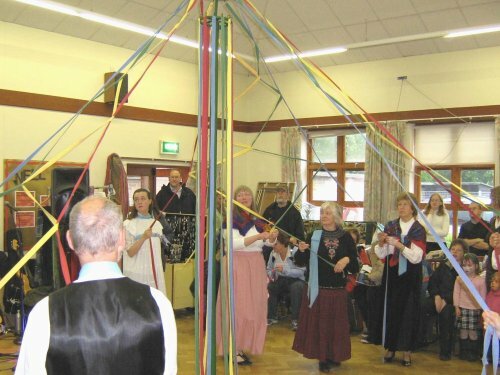 Twelve adults joined the children to give a Maypole display. 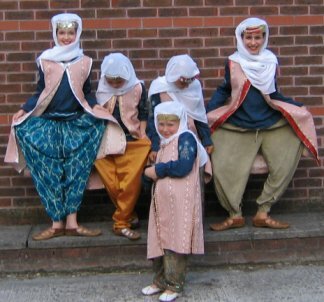 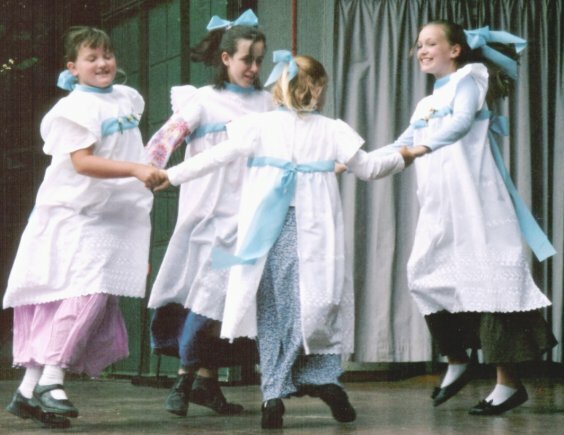 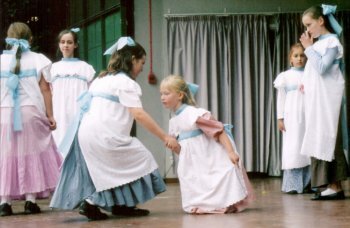 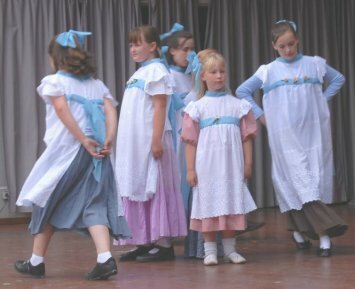 The adults wore Edwardian style clothes and the children had pinafores over full skirts. 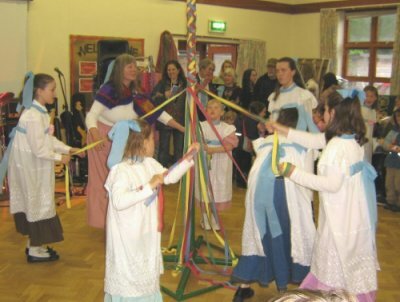 The children showed closed plaits and barber's pole variations; the adults displayed open plaits like Gypsy Tent and Spider's Web. 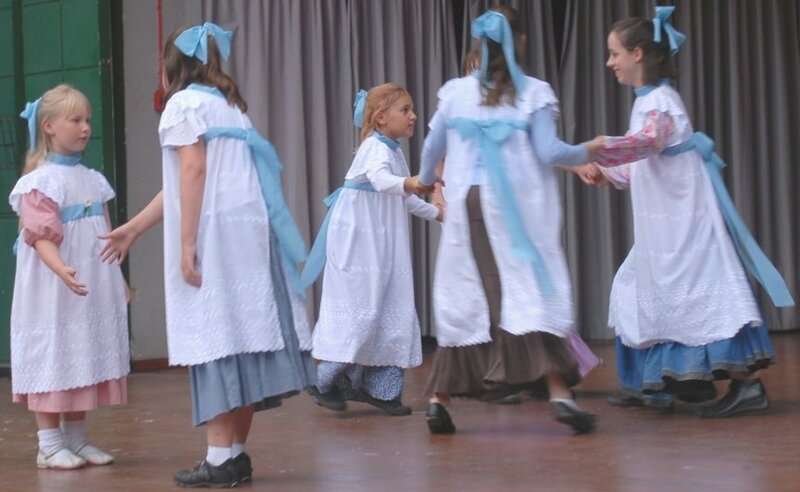 Unfortunately the weather made things very muddy on one occasion, all in a summer's day! 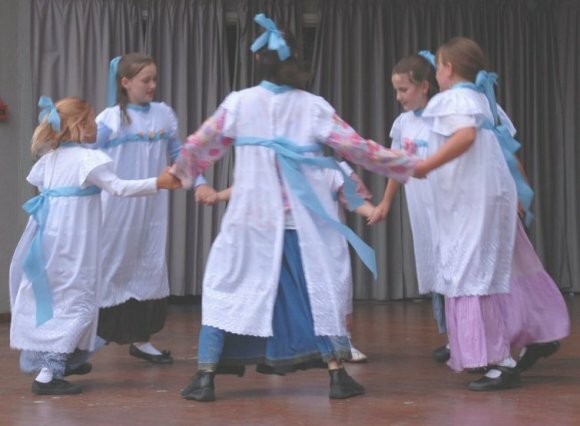 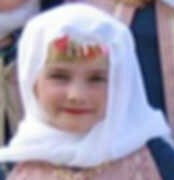 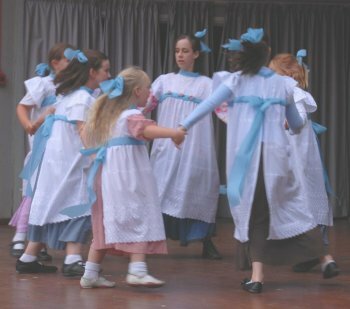 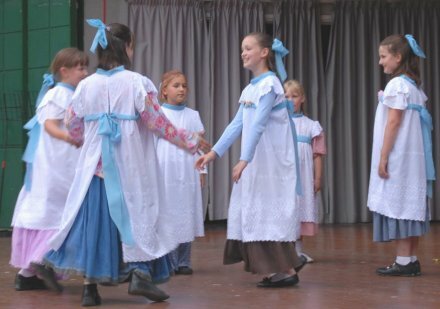 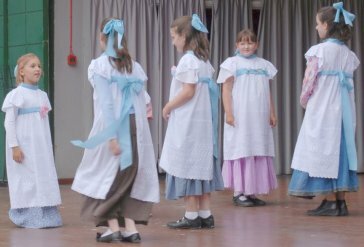 The children also travelled to London to join other SIFD groups at the Embankment Gardens where they performed their favourite English dances, Jenny Pluck Pears and the Hop Picker's Feast. 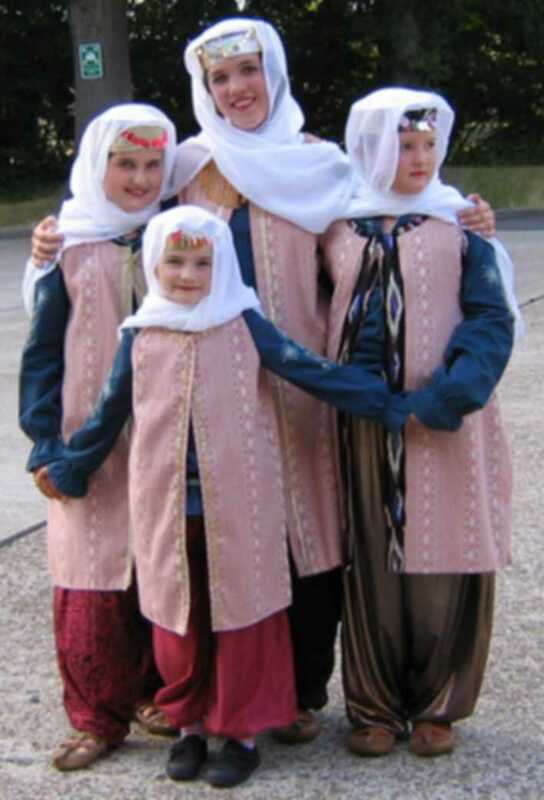 There was also a return trip to the Hawth Theatre in Crawley; this time the girls performed a medley of three Turkish folkdances. 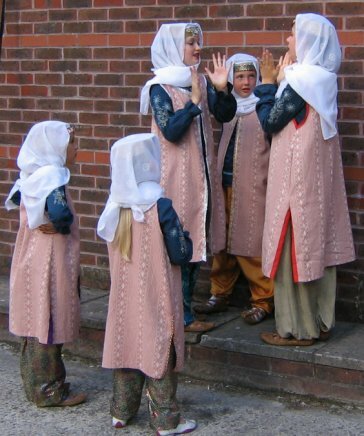 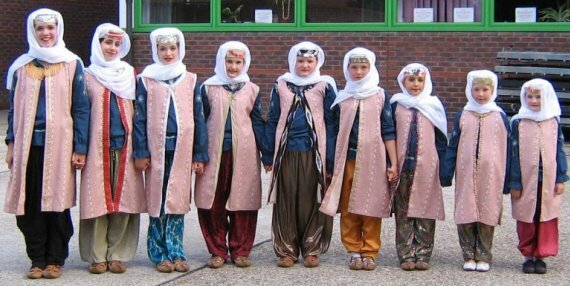 Dressed in Turkish costumes they performed Fadike, Istanbul Kasap and Ham Cocelek.